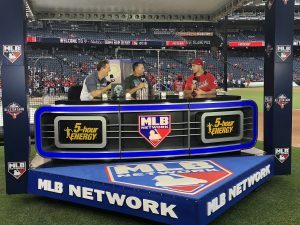 Filmwerks studio sets have been common at MLB All-Star games in recent years, and the company continued its run at Nationals Park this week, providing both Fox Sports and MLB Network with multiple sets. Supplied by Filmwerks, Fox Sports’ main set served both the pregame show and morning show First Things First. 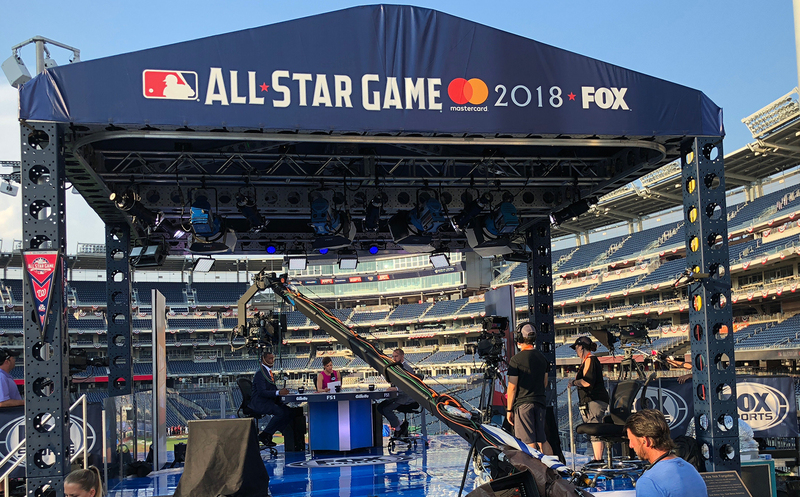 Fox’s primary 24- x 20-ft. set on the left–center-field concourse served as home to the network’s pre/postgame coverage and onsite editions of its First Things First morning show on Monday and Tuesday. Although this year’s set had a similar look to previous years’ for Fox, its ModTruss infrastructure sported the “Fox Sports Blue” color. MLB Network’s main on-field set was refreshed for this year’s All-Star festivities. 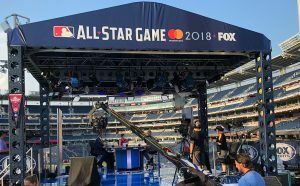 In addition, Filmwerks provided Fox with a simple platform set for Monday’s Media Day festivities at Nationals Park, as well as multiple cable bridges in the TV compound and inside the tunnel of the ballpark. Longtime client MLB Network also enlisted Filmwerks to provide its primary 12- x 16-ft. on-field set, which features a hydraulic motor that allows the on-field team to strike and get the set off the field in less than two minutes. 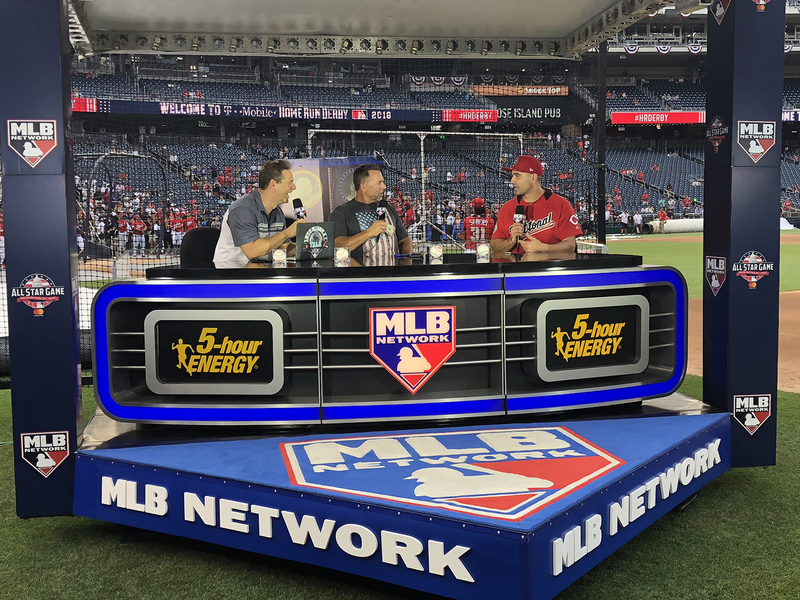 In addition, Filmwerks provided MLB Network’s concourse-level secondary set used on Monday and Tuesday and a 12- x 16-ft. Z stage for its Red Carpet Show on Tuesday.